Like many other professionals, I have had a career that has taken some exciting pathways. After many years of math teaching, directing an Asian capital market research institute and developing international business programs, in 2002 I found myself in the field of aging as Director of the SAGE Institute under the division of geriatrics in a large hospital system. At first, the learning curve was tremendous! Those who have moved from one industry to another understand how each has its own language, opportunities and challenges, not to mention acronyms! I quickly learned the strengths and weaknesses across the aging service “continuum of care” as I was charged under a Duke Endowment grant to analyze and identify best practices. Personally visiting and exploring operations at 200 senior services across the southeast and analyzing national best practices helped me to truly understand the complexity of the industry. Conducting aging service focus groups to identify weaknesses/gaps at the same time brought that depth of experience to a whole new level. Working with an advisory board of experts, we developed criteria for analyzing best practices, evaluated contenders and presented the top “cross-industry” services at a conference in Charleston, South Carolina, in 2004. The success of this program led to the development of aging service network teams who worked to partner and replicate best practices leading to new services including transportation, community case management and geriatric services. My director experiences helped me to “see the light”! Having witnessed the waste of duplication of efforts, silos of services, inefficient use of funds and energy, as well as lack of understanding of successful business practices, it became clear to me that it was time to break down the barriers and work with communities and aging-focused businesses to help them develop win-win situations through partnership and strategic planning. In other words, it was time to put the customers first by working together across the aging industry (for-profits, non-profits, government, education) to eliminate silos and truly create cutting edge successful, sustainable (dare I say profitable!) services. 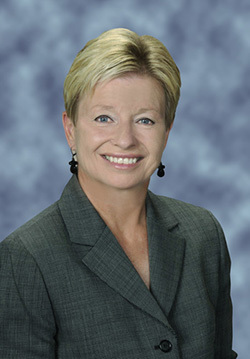 In 2008 SAGE WAVE Consulting was born, and its accomplishments include providing consulting and strategic/business planning for city-wide, county-wide and national aging service providers; conducting a system-wide needs assessment for a hospital system; replicating national aging industry best practices; presenting at national conferences; and serving as a keynote speaker and business academy faculty member. What makes SAGE WAVE Consulting unique? We understand the strengths and weaknesses across the aging industry and know the best practices. In addition, we keep up-to-date on the most recent research and services. The combination of this knowledge, our strategic planning expertise and our ability to facilitate successful partnerships helps us stand out. In addition, we can help you educate your clients and staff on what the aging industry is all about through training and seminars. However, should you need more in-depth training, I strongly recommend enrolling to receive a CSA Certification. As a consultant working with businesses across the aging industry, I find being a CSA an invaluable tool for me to truly understand the customer’s needs and help my clients develop a stronger understanding of who their customers are. In addition, the CSA curriculum covers a broad spectrum of aging industries helping anyone working in a specific industry to better understand the services “across the continuum.” So many aging credentials are industry or job-specific. The CSA certification provides its recipients with a “bigger picture”; helping them to enhance their services while connecting them with a network of industry-wide providers. As a moderator and presenter at the upcoming 2013 CSA Conference: “Building Knowledge and Empowering Networks” (August 8-9, 2013, in Orlando), I am confident this event will help the small business person remain up-to-date on aging issues and trends, build a stronger client base, network across the industry and work towards business success. The future is bright for those committed to strengthening the aging industry! I look forward to the continued growth of SAGE WAVE Consulting in facilitating the development of best practices. Come join me in Orlando! I welcome the opportunity to share our stories.